Monopods are okay for tracking the fast action of sports, but they are no real substitute for a tripod most of the time. Most monopods are not practical for heavier weight lenses and can be very cumbersome and difficult to operate when excessively top-heavy. Bogen/Manfrotto monopods range in maximum weight capacity from 9.9 lbs to 26.5 lbs and Gitzo models range from 4.4 lbs to 26.5 lbs. The Gitzo G1588 model is available through Wimberley. It is carbon fiber, weighing just 2 lbs, and has a maximum weight capacity of 26.5 lbs. Before you choose a monopod, it is recommended that you add up the weight of the heaviest gear you plan to attach to the monopod (camera body & lens, flash unit & bracket, extension tubes or teleconverters, monopod head) and compare this combined weight against the maximum weight rating of the pod. Exceeding the maximum weight rating puts both your gear and your image quality at risk. The most straightforward way to attach a lens to a monopod is to mount the lens foot directly to the tripod mounting stud. This is the most direct approach, but can be a bit inconvenient if you prefer to swap out 2 or 3 different lenses frequently. This is where the addition of a quick release system and a monopod head can be very advantageous. For greater flexibility in lens positioning, a tilt-swivel or ball head can be mounted on a monopod. The Kirk MPA-2 Monopod Head or Really Right Stuff MH-01 LR Head are great tilt heads that will be more than adequate to support the Sidekick and lens. If you wish to use the Sidekick ($250) on a monopod, you can attach the Kirk MPA-2 or RRS MH-01 head to the top of the monopod, tilt it 90 degrees and attach the Sidekick to the head. To achieve the ability to pan side to side, you would rotate the monopod manually. 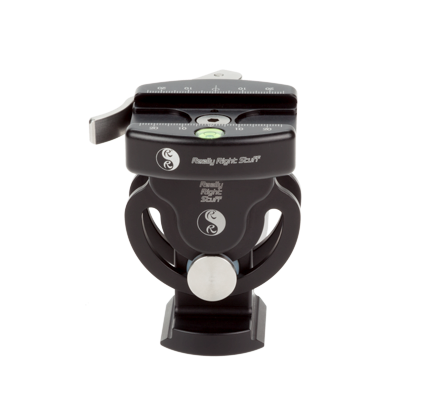 The Sidekick works for heavier lenses in conjunction with a ball head with a higher maximum weight capacity. 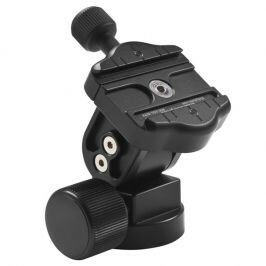 Ball heads with an arca-swiss style quick release clamps are compatible, and screw knob clamps are recommended over flip-lock lever-style clamps for security reasons (an AK-100 Sidekick Adapter plate must be used with a flip-lock clamp to prevent the Sidekick from sliding out of the clamp). Recommended ball heads can be found on our website under FAQs. Many of our customers who photograph sporting events prefer this setup and use it with great success.